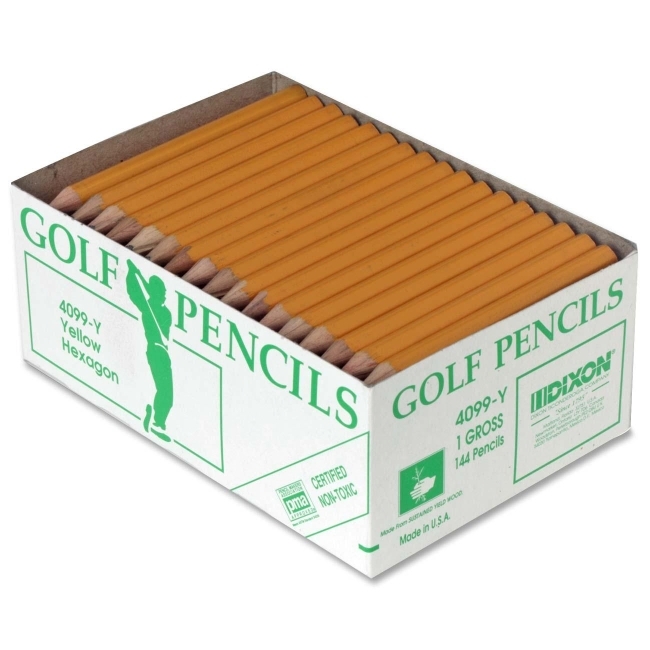 Pre sharpened and ready to use, real wood 3-1/2" golf pencil is bonded with a break resistant number two core for smooth writing. Use for questionnaires, survey forms, lottery kiosks, church pews, even recording your golf scores. PMA certified nontoxic.